When a foreign leader descends on the Turkish capital for a working visit, the journalists from that country invariably use the leaders’ joint press conference to ask about Turkey’s record on freedom of expression. 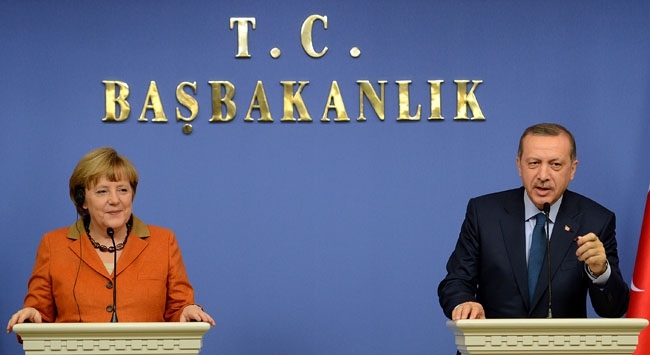 Today, it was Angela Merkel and Germany’s turn to receive Recep Tayyip Erdoğan’s stock answer. The six journalists he mentions are most likely those once employed by the now-extinct News of the World. They were arrested as part of the police investigation into the hacking of private voicemail messages. The “as many as 50” is probably a rough guess at the number arrested as part of the British phone hacking scandal. The Guardian article puts the total number – including police officers and other public official – at over 100. But is there a connection to the IRA, today a barely active paramilitary organisation? Probably not. Mr Erdoğan’s answer – basically, “you’re ugly too” – is a barely concealed attempt to avoid answering questions on Turkey’s freedom of speech credentials. How ironic that the British scandal he cited was over phone hacking, something that government agencies do so routinely in Turkey that you can’t imagine anyone ever being arrested over it.